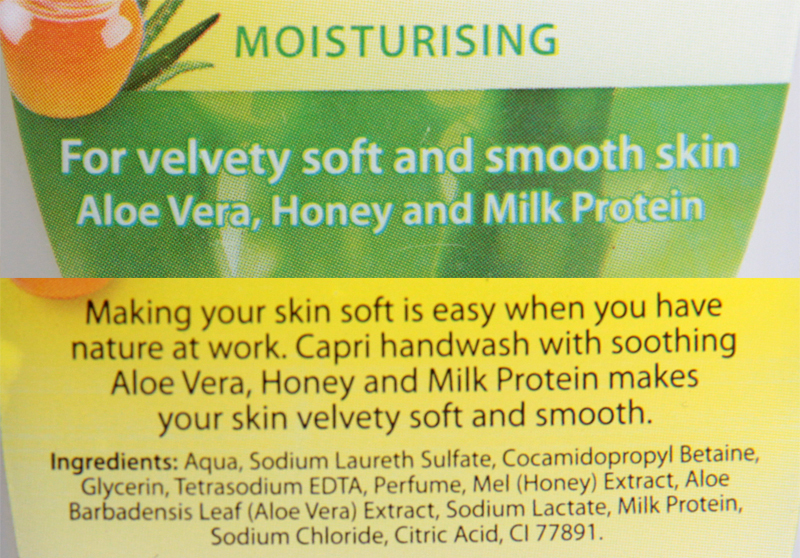 Capri Moisturising Hand Wash - Review! | Sahrish Adeel - Malaysia based Pakistani Beauty & Lifestyle Blogger! What do you need more in a hectic life routine when you don't even have time to apply moisturiser every time after you wash your hands? I am not at all a fan of soaps specially when it comes to hand wash. I like liquid hand washes the most. They are easy, mess free and hygienic. And you know what? Its true as I used it for over a month now. Lets see how I found it exactly. It is a liquid hand wash. It is mess free and convenient. It smells really good. I'm highly allergic to strong fragrance but Capri hand wash has the perfect amount of fragrance I need. It washes off the hands really easily leaving your hands clean. The moisturising factor really works great. Even its good to wash makeup brushes with. It has honey in it that is a natural antibiotic. I am not exagerating or anything, I have tried many different hand washes before but this one is really good for me. I place this hand wash on my kichen sink becasue thats the place where I have to wash my hands the most. I wash my hands with it before and after I cook, serve or cleanup. So its like many times a day. The reason why I keep it on my kitchen sink is because it has a moisturiser and I can not stand dry hands specially the area arround my nails. With this hand wash, I hardly need to use moisturiser every time after I wash my hands until or unless I have worked with some strong detergent. (that makes your hands really dry). The good thing that happened to me after this hand wash came into my home is, my son (3 years) started to wash his hands on his own because he found it convinient as it does not slip from his tiny little hands like the usual soaps AND in his words " Mama, my hands smell awesome now." It costs PKR 175 & is available all over Pakistan in almost every big and small stores that carry such products. If you have liked my post, do share it from sharing buttons below and let me know if you have used this hand wash yet or not?